Drivers on the London Underground Piccadilly line were due to strike for just over two days from Wednesday evening, causing a complete shutdown of the line. Updated: The RMT union said on Wednesday afternoon that the strike has been suspended 'following significant progress in extensive talks through ACAS'. The strike is scheduled to start at 9pm on Wednesday and last until 1am on Saturday, although the two sides were still talking on Wednesday morning in an attempt to resolve the dispute. Transport for London (TfL) said that if it goes ahead, there will no service throughout this period, including the Night Tube on Friday. When services resume on Saturday morning there are likely to be delays until 9am. The RMT said the strike is due to London Underground’s ‘failure to employ enough drivers, continued problems with the ageing Piccadilly Line fleet and the repeated breaking of agreements which has tipped industrial relations over the edge’. General secretary Mick Cash said the repeated problems have ‘led to dispute after dispute and the failure of London Underground management to get a grip has tipped the situation over the edge yet again. That is why we have had no option but to put on these strike dates’. The strike coincides with planned protests at US President Donald Trump’s visit to the UK and could affect thousands returning home after watching Wednesday evening's World Cup semi-final, including on a big screen in Hyde Park. TfL has advised customers to complete journeys on the Piccadilly line by 10pm on Wednesday and expect no service from 11. All other Tube lines are expected to run as normal but TfL said it expects them to be busier than usual. Additional buses will be in operation to help passengers complete their journeys while customers travelling between Heathrow airport and central London will be able take TfL Rail and Heathrow Express services from London Paddington. 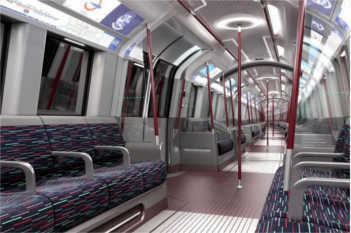 The Piccadilly Line carries half a million passengers a day, including the link to Heathrow.